Citrus Expo is an opportunity to bring a lot of people together, says Steve Smith, executive director of Peace River Valley Citrus Growers Association. Smith says the growers get to spend time discussing and are able to pick up on new information presented at the Citrus Expo seminars. “The vendors enjoy it. It’s a good chance for them to interact and showcase their products,” Smith says. 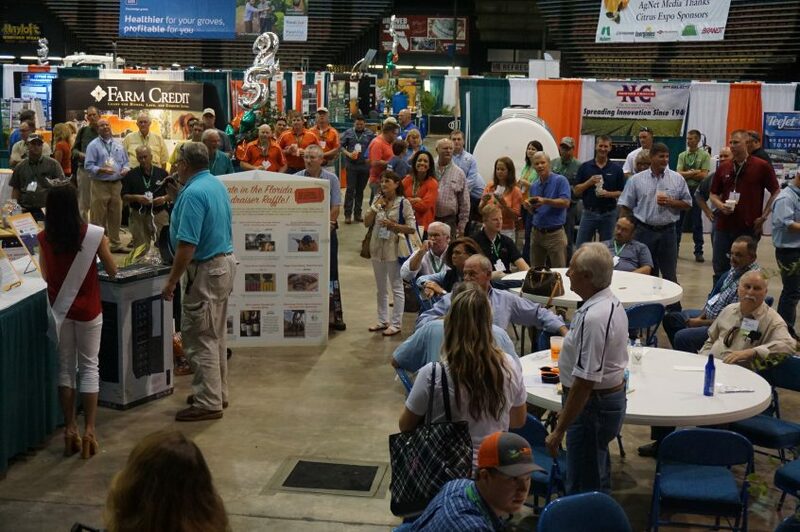 Pre-registration for Citrus Expo is now open! All pre-registered growers will be eligible for a chance to win a John Deere gun safe courtesy of Everglades Equipment Group. As growers pre-register online, they are encouraged to participate in a very short, anonymous survey on bactericide use. Take the survey here. Conducted by AgNet Media in cooperation with the Citrus Research and Development Foundation, the 2017 survey will build on knowledge gathered from the 2016 survey. Results of the survey will be presented during the Citrus Expo seminar program. Complete details on the seminar schedule are available! You can find the full schedule here. To learn more about Citrus Expo, or to register, visit CitrusExpo.net.